NEWPORT COLONIAL This recently renovated four bedroom colonial is just steps from the recently renovated, very trendy Broadway. Walk to the best local restaurants like Corner CafÃ©, Fifth Element, and Salvation CafÃ©! The home is bright and newly painted. Hardwood floors and tile and lots of character throughout this historical home. A large back yard patio with blue stone and lighted areas includes a secret garden. Parking for two cars insures that you can park and walk to Thames Street and Goat's Island. 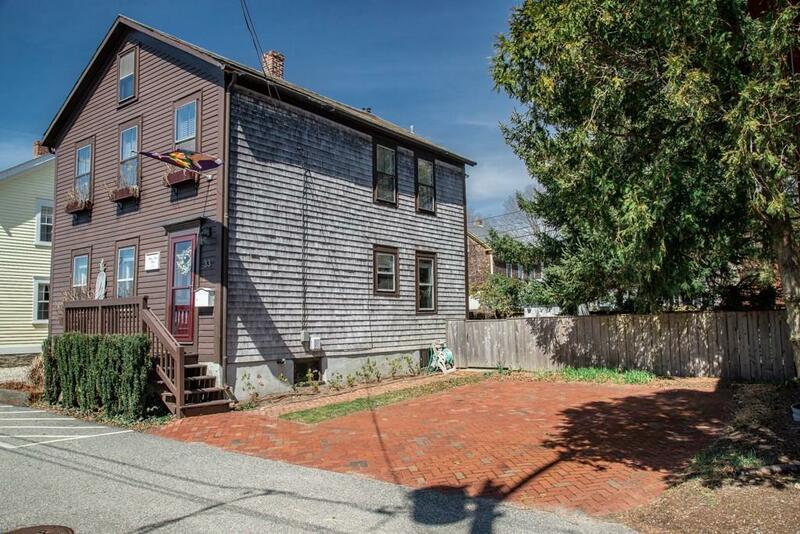 Great potential for a family summer home, Airbnb, or rental. Large attic could be converted into master bedroom or suite. This home is in move in condition. The owner is open to helping you furnish your new home, so that all you have to do is turn the key. Enjoy all of Newport at its very best within walking distance from your beautiful new home.